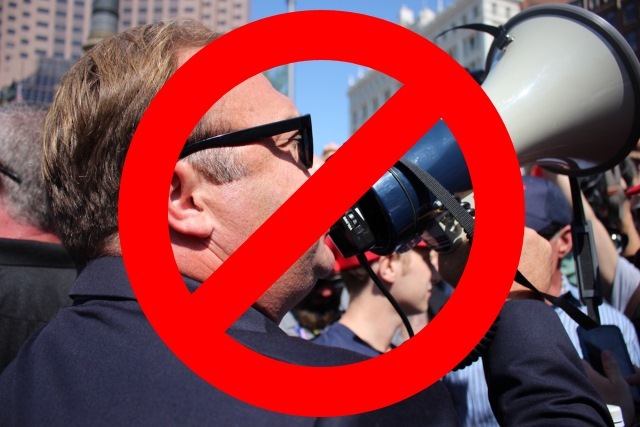 Alex Jones -- conspiracy theorist extraordinaire and founder of right-wing media platform Infowars -- has fallen foul of a number of companies' policies recently, and Apple is the latest to take exception to his output. YouTube started things off recently by removing some of his videos, and he was then suspended from Facebook for a month. Spotify decided that Jones' podcasts were "hate content" and removed several from its platform. Now Apple has done much the same, removing Jones' own podcasts from iTunes as well as those of Infowars. Jones is famous for a string of conspiracy theories, including suggesting that the Sandy Hook and San Bernardino shootings were "false flags". He is currently being sued by the families of Sandy Hook over allegations of defamation and harassment. Infowars now has just one podcast remaining on iTunes -- Real News With David Knight -- and Apple's actions are likely to severely impact Jones and his team and the reach they are able to enjoy. News of the podcasts removal came from BuzzFeed which notes that it is not clear why the Real News With David Knight podcast was not affected by the cull.